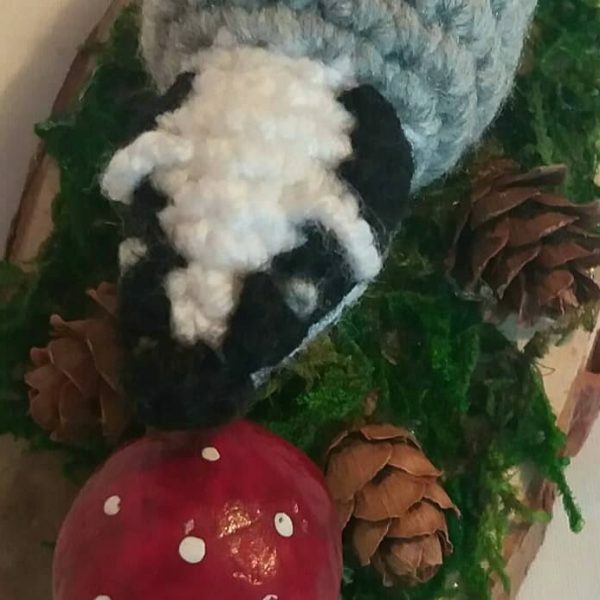 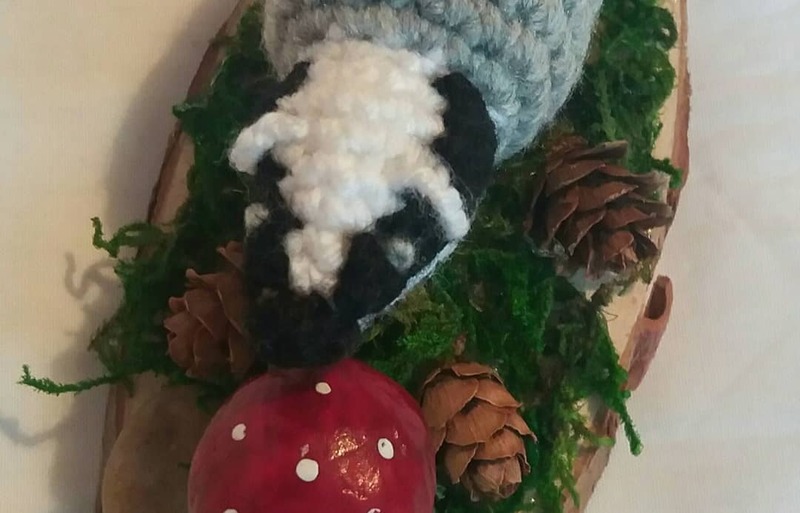 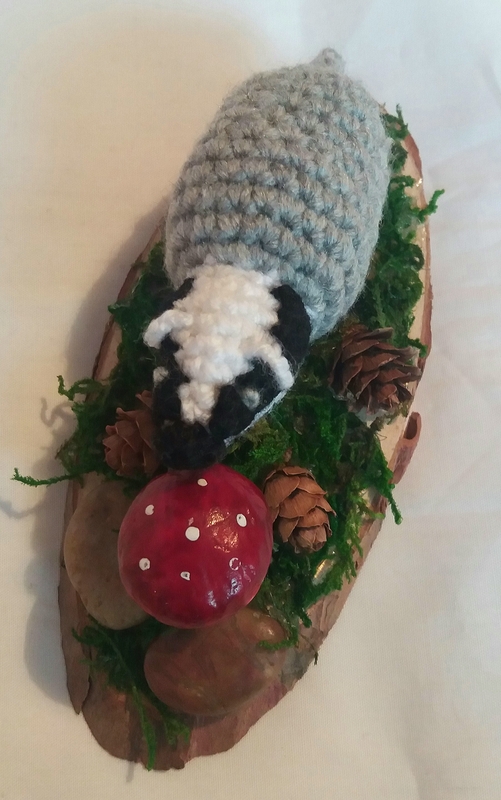 I think this badger has found a tasty toadstool to eat! 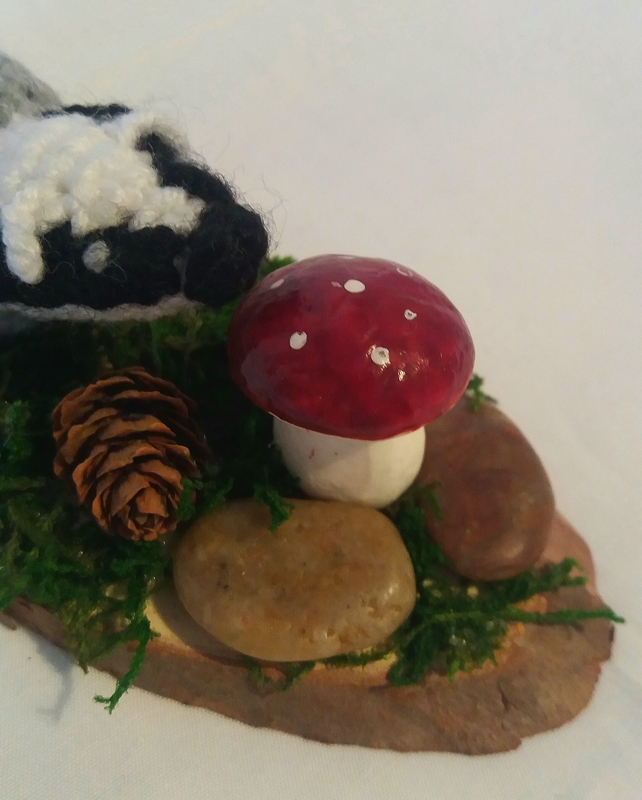 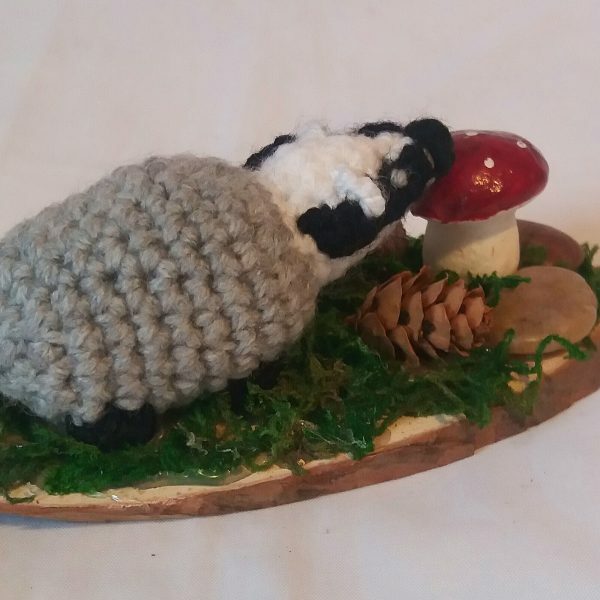 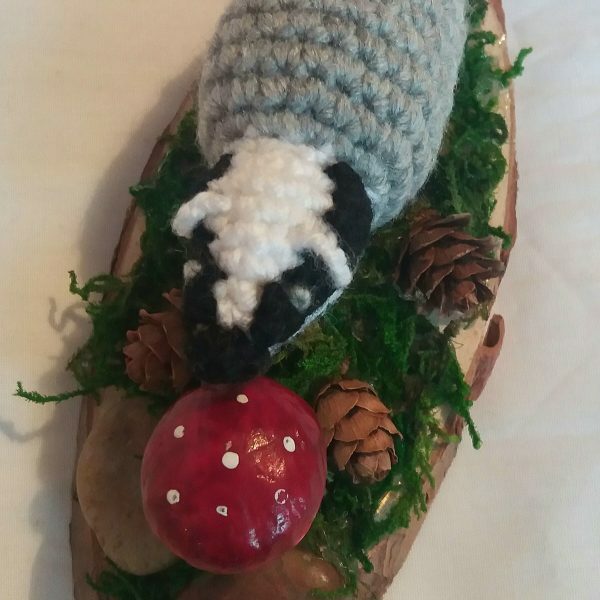 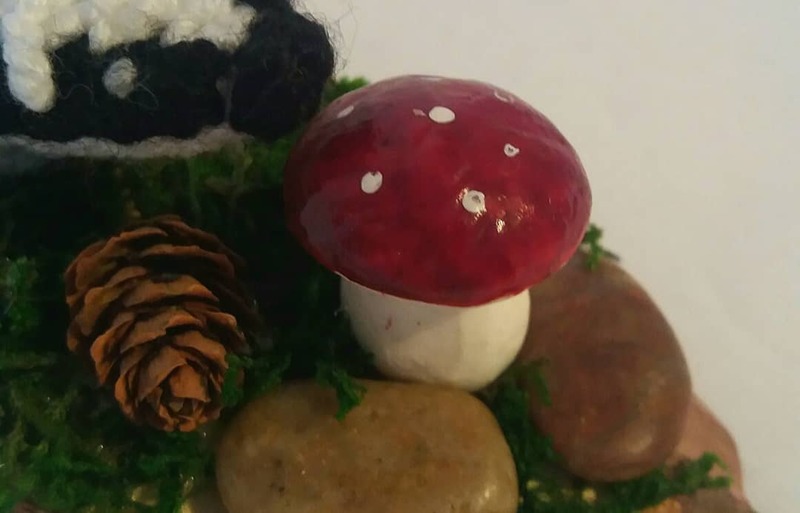 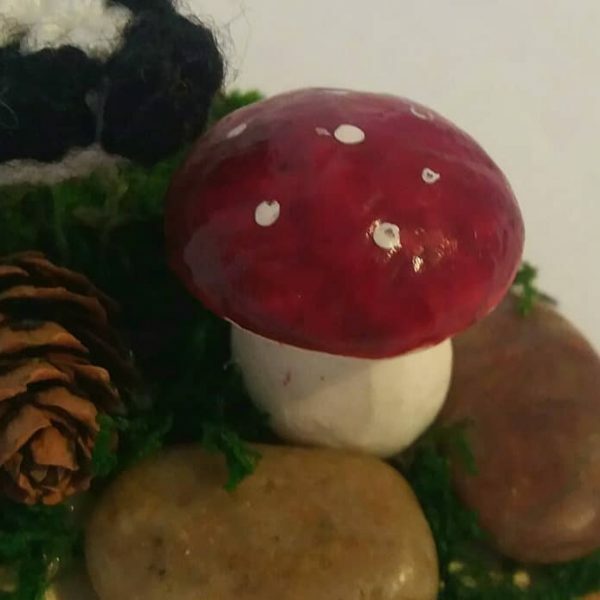 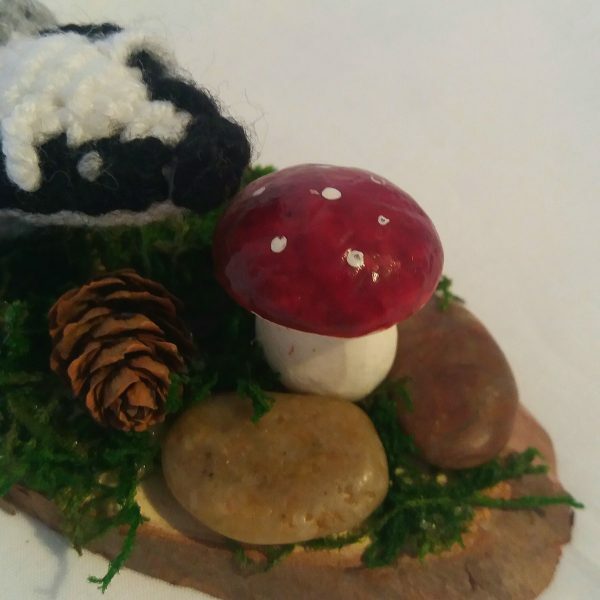 He has been crocheted in DK acrylic yarn, and is standing on a natural wooden log base with real dried moss and natural pinecones around him, along with that juicy toadstool which is made from polystyrene. 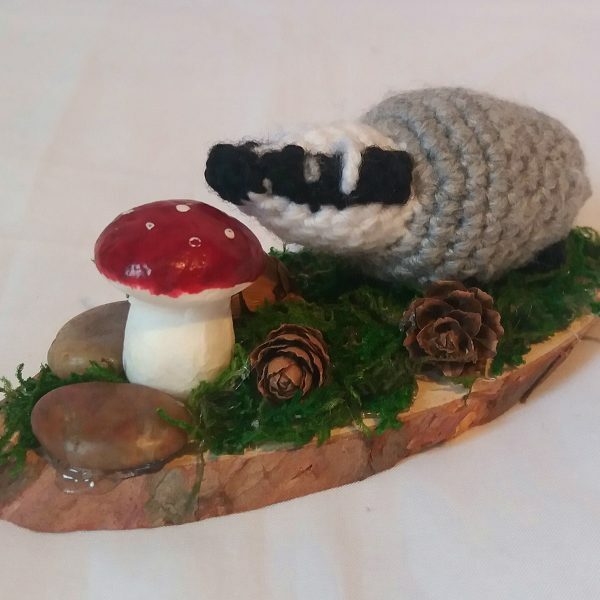 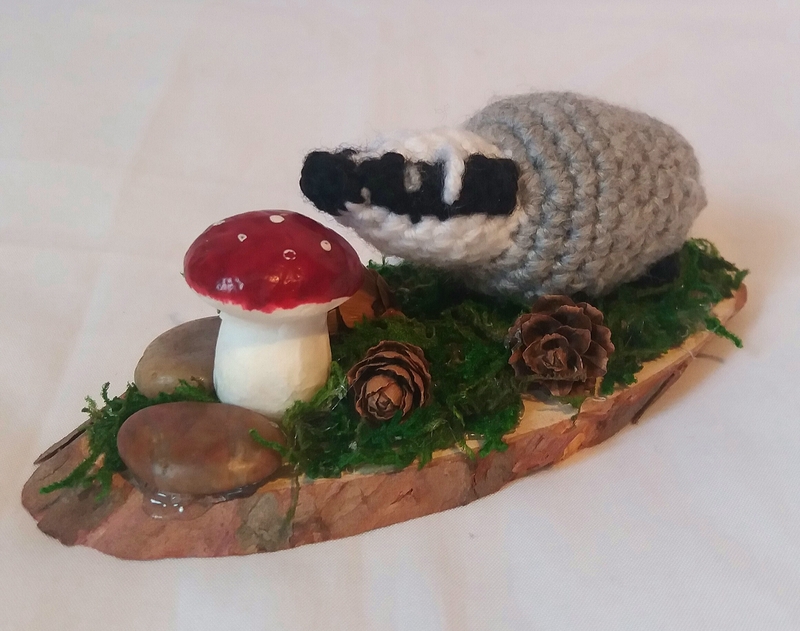 This would make an absolutely beautiful gift for anyone that loves wildlife, nature, badgers….or just loves to collect knick knacks! 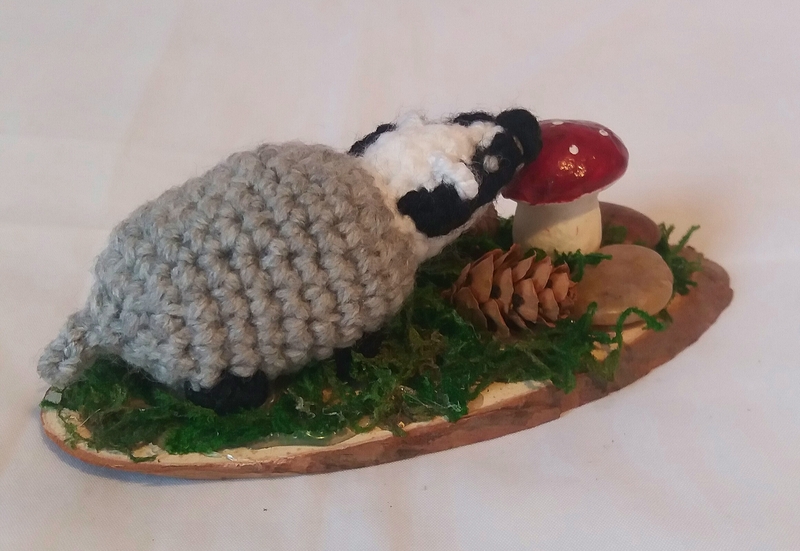 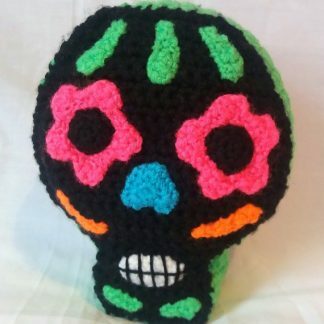 It measures approx 13cm long, 6cm wide and 5.5cm tall, and will make a great addition to any collection!